Time travel to a bygone era with your fingertips. Bushwick is home to hundreds of historic locations, each with its own rich story, from the earliest Dutch colonists of the 17th century to massive breweries founded by immigrant families. Urban Archive, available for download on iOS, is an immersive app that taps into thousands of archival images from city cultural institutions and provides historical information about places that are a part of our daily lives. The nonprofit project began in 2016. The app features a map layer of New York City with block-by-block historical information from public records, and a unique photo overlay tool that enables users to instantly recreate photographs of city streetscapes and buildings. The resulting side by side comparison shows how things have either changed, or stayed the same, over the decades, connecting the past and the present through architecture. 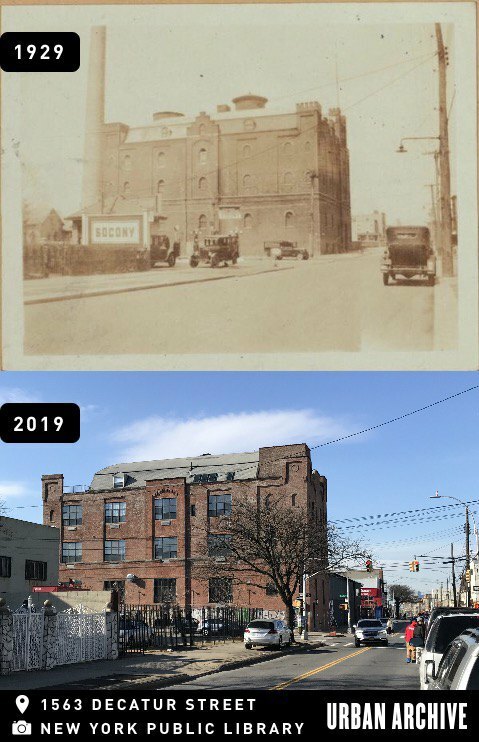 History enthusiasts will particularly appreciate the app’s seamless then-and-now photo feature, which serves as a window to the past by showing that many buildings of Bushwick have changed little in the past 100 years. An adjustable overlay allows the user to line up their phone’s camera with the exact placement of the historical photograph. 1154 Flushing Ave. Courtesy of Urban Archive, New York Transit Museum, and author. How it all works: when users launch the app, they are taken to a map screen that shows locations of nearby buildings and streetscapes in the photo archive. 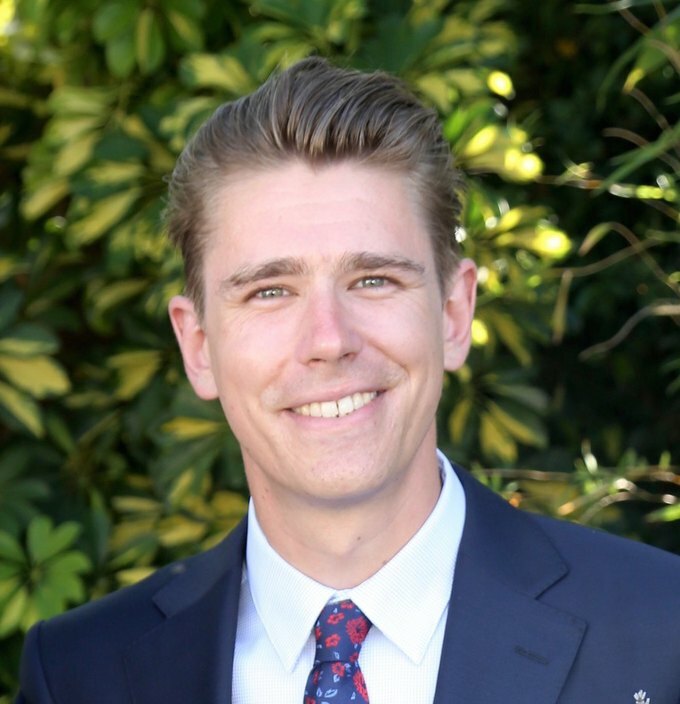 Once a location is selected, the year the photo was taken and other contextual information from records is listed. Upon tapping a photo, the option to recreate the photo appears, and an adjustable transparency overlay feature allows you to perfectly align your phone’s camera to the perspective of the historical photograph to snap a corresponding contemporary image. Time travel, instantly. P.S. 123, Courtesy of Urban Archive and author. Some unchanged sites in Bushwick include: public schools P.S. 123 (photo dated 1905) and P.S. 86 (photo dated 1931); major thoroughfares including Flushing, Bushwick, and Myrtle Avenues (photos dating from the 1920s); as well as institutions like churches, libraries, and historic homes. 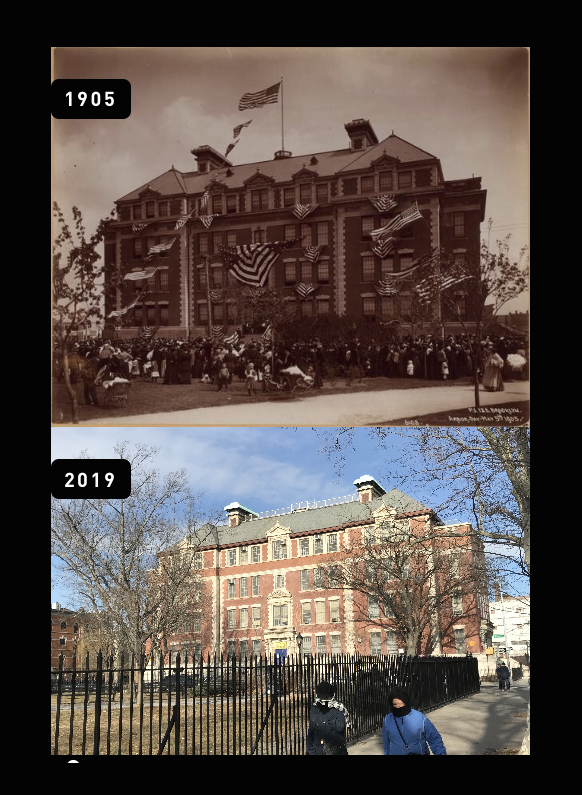 Interesting changes in the neighborhood also await discovery; Urban Archive reveals that Bushwick High School sits upon the former site of Union Cemetery, with a photograph of the graveyard on Irving Avenue dated 1897. Urban Archive collaborates with over 30 New York cultural institutions, including the Museum of the City of New York, New York Public Library, and the Brooklyn Historical Society, with their combined photo collections amounting to over 130,000 photographs, 80,000 of which are mapped. 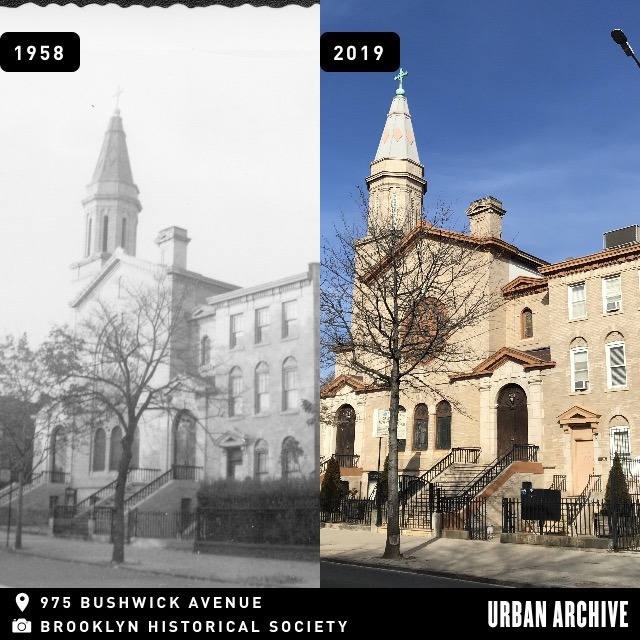 The Brooklyn Public Library also recently joined the efforts, with collections including from the Brooklyn Daily Eagle, which will eventually add tens of thousands more images to the app’s coverage of Bushwick and beyond. The app also partners with institutions that provide audio guides and self-guided walking tours, such as “Breweries of Brooklyn and Queens” and “Prohibition” walks in Bushwick, or “Iconic Literary Destinations” across Brooklyn and Manhattan via the Museum of the City of New York. Urban Archive plans to expand its use as an educational tool in 2019 with a new version of the app, with expanded features, like user accounts, to allow users to create their own neighborhood walking tours and upload personal stories and histories about locations to share with friends. Diogenes Brewery, courtesy of NYPL and author. A desktop version of Urban Archive is also on its way, and massive collections from the 1940s tax photos and subway construction photos are in cue to be mapped block by block, with the entire neighborhood of Bay Ridge currently mapped from these comprehensive records. 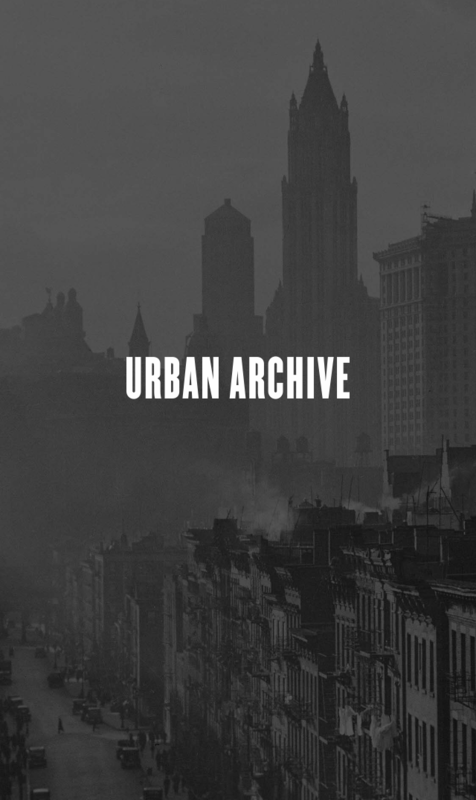 Learn more about Urban Archive on their Instagram, Twitter and Facebook. Cover photo courtesy of Brooklyn Historical Society, Urban Archive and author. Follow Bushwick Daily on Facebook, Instagram, and Twitter!